At Hughes, we know a thing or two about advising and helping our customers. After all, we have been providing expert advice and service for more than 95 years. 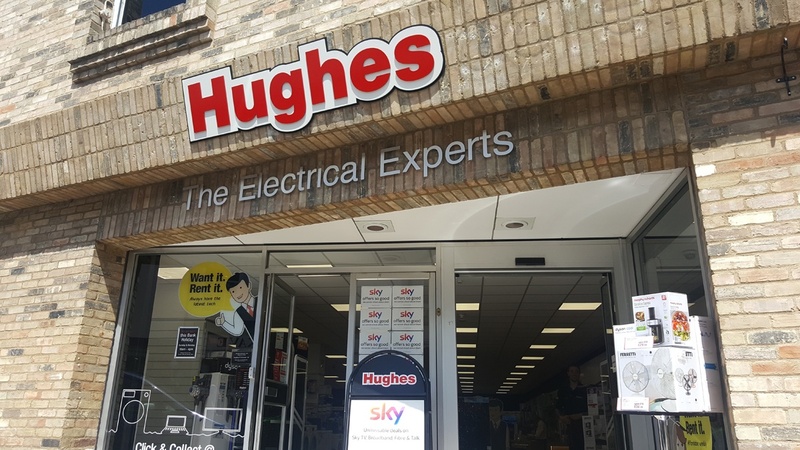 When you visit our Bury St Edmunds store, Andy and our team of knowledgeable and friendly staff will offer you guidance and advice on a whole range of electrical products. We are more than happy to demonstrate our in store products to you. Not only can you buy from Hughes but you can rent almost anything we sell too. 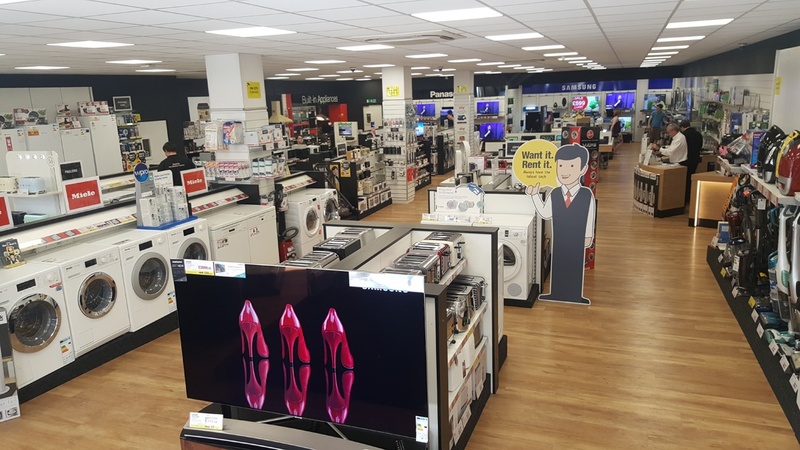 We stock an extensive range of TVs, iPads, Sonos wireless hi-fi, laptops, sound bars, Blu-ray players, washing machines, fridge freezers, cookers, dishwashers and much more. Our great rental service offers low cost outlay, service from our own trained engineers, no repair bills and flexibility with the option to upgrade, giving you total peace of mind. There is a wide range of products to rent from leading manufacturers, such as Samsung, Dyson, Panasonic, Sony, Bosch, Apple, Asus, LG, Hotpoint, Miele, and many others. Paying too much for your broadband? We may be able to help with deals available from Sky and Pop Telecom. We can also help you get the most from your television, with amazing offers on Sky packages. With exclusive shows, box sets on demand and the new Sky Q and ultra-high definition channels, see what a Sky package could do for you. Our wide range of ‘Smart’ TV’s brings you the best of digital entertainment, letting you enjoy the latest music, movies, games and much more. Our staff can show you just how simple it is to connect Wi-Fi devices like iPhones and Android devices to enabled products. Use your TV to catch up with your favourite shows on BBC iPlayer and other on-demand services, rent and watch online movies, connect with family and friends on social networking sites such as Facebook and Twitter, play games, and even browse the internet, all on your television without the need for a separate device. We are pleased to offer a Click & Collect service on the majority of our goods with many items available within 1 hour. We’ll even hold your goods for 2 days after the agreed collection date. Our shop has a space for easy parking to collect goods at the rear of the branch. store, and dedicated disabled spaces are dotted around the Buttermarket in the centre of town. Collection of placed orders can be picked up from our dedicated collection point at the rear of the building. Inside, the shop is easily accessible by wheelchair and prams. 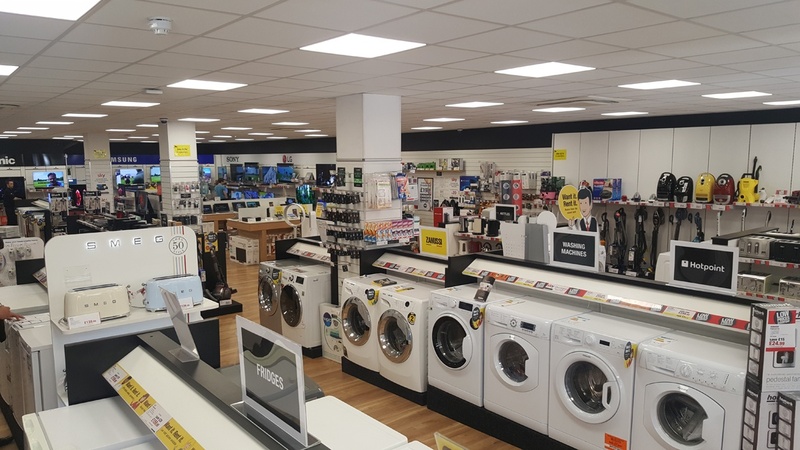 Staff at the Bury St Edmunds store have over 75 years of electrical experience between them. With 10 full-time staff we have a broad range of expertise on products such as the latest televisions, sound systems and kitchen appliances. We also have a dedicated Sonos multi-room display and a ‘hands on’ display stand for tablets and laptops. Whatever your needs, simply visit us in store and we will do everything that we can to make your shopping experience one to remember. Hughes is also able to offer a complete bespoke smart home service to tailor our products to your needs. We offer services like connected lighting and heating, whole home music, 4K TV distribution, outdoor entertaining, TV wall mounting and even cinema rooms. Our specialist team are on hand to come to your home, discuss your options, then tailor a package that suits your wants and needs perfectly. To find out more, Click here or speak to any of us in store and we will be happy to talk to you about what our smart home service can offer.